In between – It’s a phrase that best describes how we feel this month. It’s frustrating NOT to be in the field this summer with our friends on Ometepe Island. However, our inconvenience doesn’t compare to the reality of the socioeconomic crisis & daily struggle that Nicaraguans currently endure. This stunning video depicts God’s Hope and Love delivered to 63 familiies through our Feeding Project earlier this month. The local community and churches have really stepped up to reach those most in need: the sick, blind and poor. English classes with the kids are running very well as we enjoy the peace that Lord Jesús gives us, no matter the current political and national situation. We are confident under the Love of the Almighty. It is very visible how the classes are of invaluable importance for the kids, along with their parents , who express their gratitude to the ministry. The adult group continues strong attendance as we discover the love of Jesus and ask for your prayers in these young adults’ spiritual life. I trust the Lord that they will discover a new, different way of life. It is through Jesús and your love that make it all possible. You can set up your secure, encrypted donation online as a one-time gift or a monthly-recurring gift that you may cancel at any time. One Body Global Ministries Inc. THANK YOU for your continued prayers and support. Please subscribe to our blog or our like page on Facebook for more frequent updates, photos & videos. July is a time when most of us Americans celebrate freedom and family at a summer barbecue or vacation. It’s hard to imagine there are other places in the world that don’t enjoy the same. This is especially true in Nicaragua. The sociopolitical situation has continued to decline and many innocent lives have been affected by this urgent crisis. According to human rights officials, the death toll now exceeds 300. Many people are now jobless and finding it difficult to buy basic food & supplies for their families. Not much is being reported in the U.S., but YOU can help by joining us in prayer and by spreading awareness (please share this) of the crisis. Scroll down for more details on how One Body Global Ministries has been helping in the field. We ask for your continued prayers for this ministry and the beautiful people of Nicaragua. Thanks to your generosity and the hard work of over a dozen of OBGM’s local friends, families, pastors and church members on Ometepe Island, 60 families received a package from our Food Assistance Project in June. Each family received: 20 pounds of rice, 5 pounds of beans, 5 pounds of sugar, 2 liters of oil and 1 pound of coffee. The package is estimated to last each family 7-10 days. Our in-depth blog & photo gallery best illustrates the scope of this initiative. It is an inspiring demonstration of Jesus in action. Our goal is to continue this program for as long as the need exists. Please consider a tax-deductible gift towards this project. Thank you everyone – especially our friends at Rockledge United Methodist Church for your donations to our Eyes for Hope project and unlocked smartphones. We’re making arrangements for some of these items to get down to Nicaragua soon. We’re still collecting them, so if you have these items, please email us. We are now a 501 (c)(3) non-profit charity! When we started this journey last year, we never imagined that God would align the exact people, resources, circumstances, and protection that currently operate under One Body Global Ministries. Although we are grateful for our affiliation with CMN to get started, we are now an independent 501(c)(3) non-profit charity. We felt this next step was essential to optimize efficiency, transparency, and of course continue to provide you with a tax deduction(s) for your financial support. The children’s English classes in Sintiope continue to THRIVE. While regular school enjoys a mini- vacation in July, these amazing kids choose to learn about Jesus & the English language under the leadership of our local teacher, Hilder. So far, access to the classroom has not be an issue since the sociopolitical crisis began in April. Please pray that safety continues & thank you for your support to this project! Click here for a video overview and to meet our students. Since our last update, there have been a lot of changes (most good and some very challenging) in Nicaragua. As you may be aware, the political climate in Nicaragua is rapidly changing. Students were peacefully demonstrating for a democratic government, but Ortega and the Sandinistas responded with force. Sadly, there have been 100+ deaths and 1,000+ injured. As of this date, one American is confirmed dead. This is adversely affecting many of the faithful and poor throughout Nicaragua. It has also impacted our ability to physically go to Ometepe Island in July. However, our commitment and ability to help our impoverished brothers & sisters on Ometepe continues here from the USA! We are in daily contact with trusted locals (some whom we have known since 2009) who are stepping up to help meet growing and urgent needs (see below – we need your help). We are honored and grateful that God has called us into this ministry. We ask for your continued prayers for the beautiful people of Nicaragua and our ministry as a we continue to answer God’s call. Many people on Ometepe are now unemployed due to the stoppage in tourism and economic decline. Food prices are on the rise. 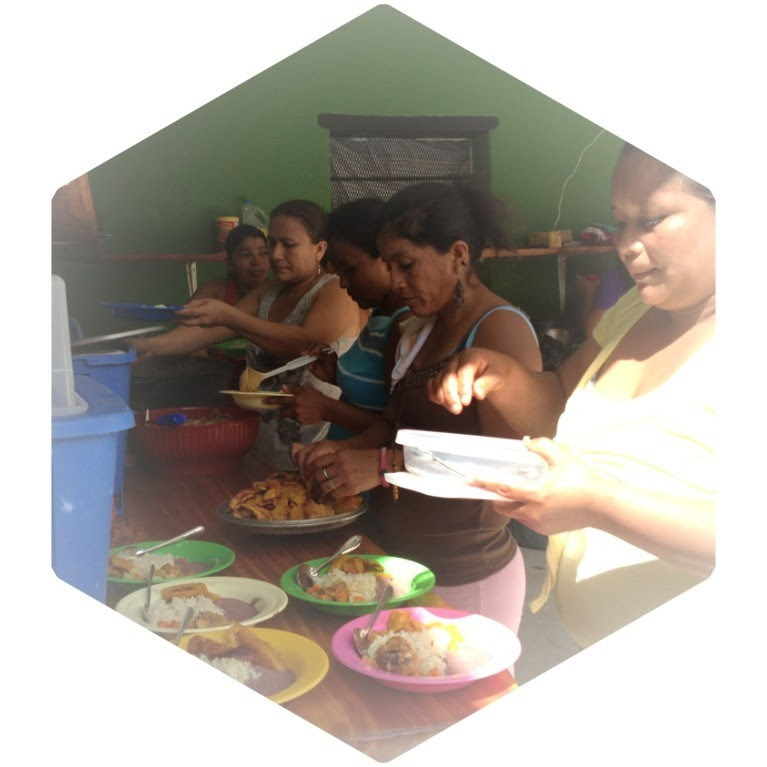 We are working to set up a food distribution/feeding program in the two “ barrios” of Santa Cruz and Sintiope with the help of local friends and church pastors. 1: Our secure, encrypted online portal. 35 children are now attending one of two sessions offered each Saturday in Sintiope. Ten (10) students, ages 15-39, learn English at our evening young adult classes offered twice a week in Ur baite. These classes are core to the education pillar of our mission. The classes have continued to run uninterrupted thanks to the dedication of our local teacher, Hilder, and your support to this project. It takes many parts of the Body of Christ to minister to these brothers, sisters & children. Thank you God!!!! 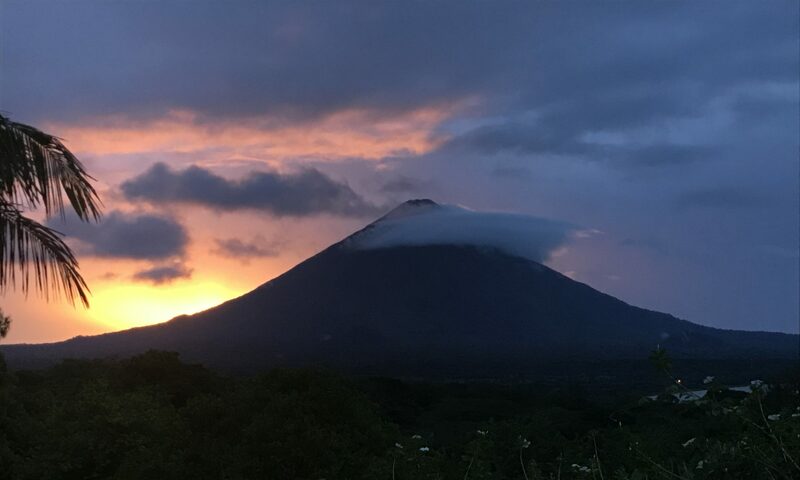 Rochelle is safely back from Nicaragua and already making plans for our return in July, Despite recent civil unrest in the country, reports are that is safe to travel, and most importantly, there has been consistent peace on Ometepe Island. Your prayers for a long-term resolution and peace area greatly appreciated. We have too many stories from Rochelle’s 2-week visit in April to share in this e-newsletter. 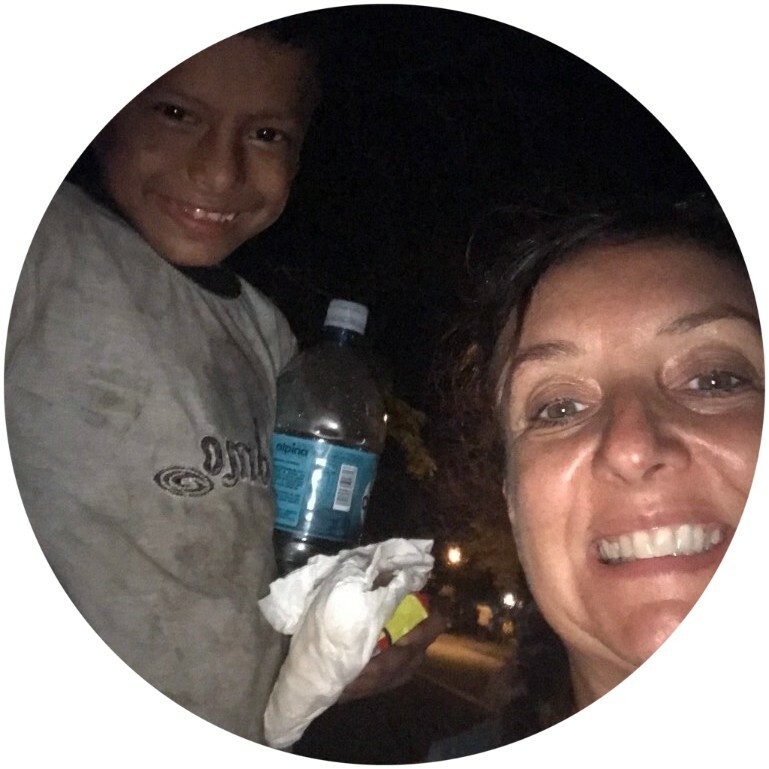 Please subscribe to our blog or on Facebook to experience her joy and FUN as a child of Jesus in Nicaragua. Our childrens classes have grown so rapidly, classes will be divided into an AM & PM session each Saturday. The second term begins later this month (already) serving students ranging from ages 9 through 39. Click the video to see how these classes are conducted with such limited resources. We are still seeking a projector and will be hosting mission teams in the future. Email us if you have any questions. Much of Rochelle’s visit in April was about building relationship and community with local residents and other full-time missionaries. We have three (3) requests – some may be as easy as looking in your junk drawer at home. Old iPhones – The phones would need to be erased & “reset” to factory. Gabriel, 8 yrs old whose mother left him on the island to find work in Managua (capital). Unfortunately it’s not uncommon for extended family & villagers to care for children left behind. Unfortunately, he’s hungry all the time. Gabriel attends school during the day but has no money for food. A small donation will go a long way. If you are interested in donating to Gabriel, please write Rochelle Scott – Gabriel in the message line of the donation form. 100% will be designated to Gabriel. Ivan, 14 yrs old who was living on the streets of Matagalpa in April and addicted to sniffing glue. Our friend, Nate, was called to foster him & show him God’s unfailing love. His community supported this decision, despite not having provisions/supplies to host a child on their site. They brought him to Ometepe and he’s been clean ever since. In fact, he is now one of our English class students. If you have a heart for for helping Ivan, any amount will help. Donations can be sent paypal to: nathanjamesdickerson@gmail.com. When God has a mission, He really delivers in the most unexpected ways. Within 2 hours of sending the March Update email, we received a text from a close family friend. She’s in her early twenties (like Hilder) & wanted to donate her less-than-1-year-old Dell Inspiron computer to Hilder. This young woman could have easily sold the Dell to keep the money for herself, but she didn’t. She used the opportunity to demonstrate her gratitude to God for blessing her life recently. This isn’t just an old, slow “dinosaur” of a computer. It’s also a touchscreen “tablet” AND and has external DVD drive! In fact, it’s better than my laptop and, yes I admit, I had a fleeting, selfish thought of swapping out the laptops to keep the better one for myself. Of course I didn’t. 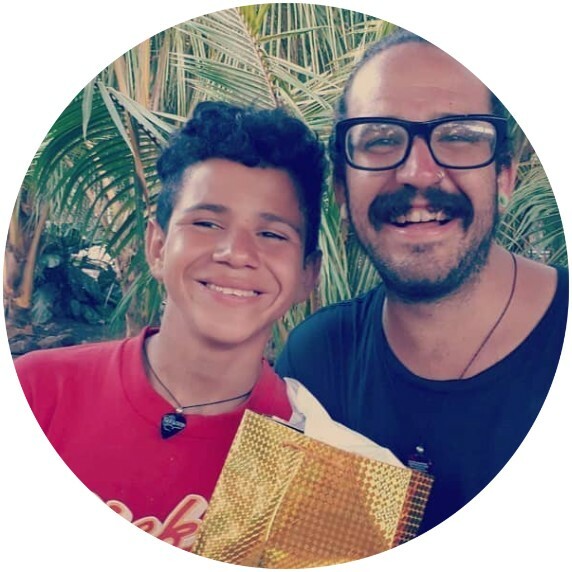 It’s God’s mission for Hilder to have it and to use it teaching tool for planning, teaching and sharing lessons to His glory for those on Ometepe Island. Funny how it turned into a lesson for me, too. The children in the above photo are just the beginning recipients of Hilder’s gifts of teaching English and sharing his love of Jesus. We can’t wait to see what happens next! Thank you all for your continued prayers and support, especially as Rochelle prepares to leave for a 2-week visit to Nicaragua on April 5. Thank you for your ongoing support and prayers for our ministry on Ometepe Island, Nicaragua. We’ve made great progress with our Guiding Pillars, and many families will be blessed thanks to your generosity. Our next trip to Nicaragua is scheduled for April 5. Please follow us on Facebook or our blog, for real-time updates from the mission field. See below for our current progress, including some small ways you can help make a difference! 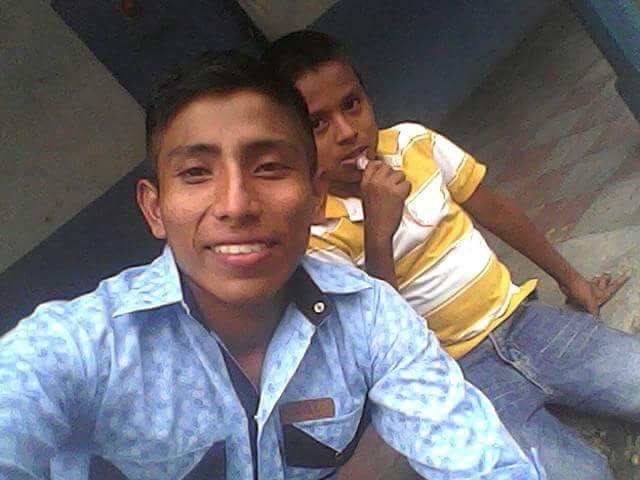 Thanks to your support, our ministry hired a local young man, Hilder, who loves the Lord and the English language. He will prepare & teach English classes for a total 15 hours per week. Classes will be held Monday – Saturday to both young adults and children in the underserved towns of Urbaite and Sintiope. We are in current need of a laptop computer, portable projector and projector replacement bulbs. If you have any of these items used, or interested in donating specifically to this need, contact us today. Do you have extra reading or old prescription glasses? There is a huge need for these items in Nicaragua. Even if you don’t have a spare pair, most dollar stores carry readers. Rochelle will have a collection bin located at her Cocoa Beach yoga classes, or contact us to make arrangements. February was back-to-school time in Nicaragua. Your donations provided the mandatory uniforms & school supplies for the new school year to Yendri, Cindy, Anyel and Cristian (left-to-right). Muchas gracias. We are pleased to share the news of our latest US-based effort. OBGM is helping to facilitate the start of an urban ministry led by Ben & Abby Houck helping at-risk families in Brevard Country, FL. Ben, Abby and their five children serve families and children twice weekly in several Section 8 communities. Many in these communities do not know from where their next meal will come, and suffer from decades of trauma and poverty. We provide food, crafts, faith-based yoga, meditation and the love of Jesus Christ to these communities. This effort aligns with our Guiding Pillars to prepare minds, bodies & spirts as one body of Christ. If your heart is called to support Ben & Abby’s local efforts please contact us, and we will ensure your contributions get to them. Wohoo! Julia Maria starts her 2nd year of foreign-language studies at the University of Managua (UNAN) on March 5. Our sponsorship provides Julia Maria with books, photocopies, transportation and food. See our blog for Julia Maria’s story. Thank you! We created another small way you can be the hands and feet of Jesus from the comfort of your home. Visit our “wish list” on Amazon for items that support our ministry.